Home » fiber drums » Need a Fiber Drum? A complete list of our stock fiber drums can be found on this page. Both our Standard All Fibre drum and our All Fibre Transport drum are made completely with fiber. There are no metal parts. This is a great advantage when having to dispose of the drums or recycle the drums. Our Standard All Fibre drums have tops that close flush with the container body. The top is secured to the body with adhesive tape. Our All Fibre Transport drums have tops that are slightly larger than the body. These tops are also secured to the body with adhesive tape. 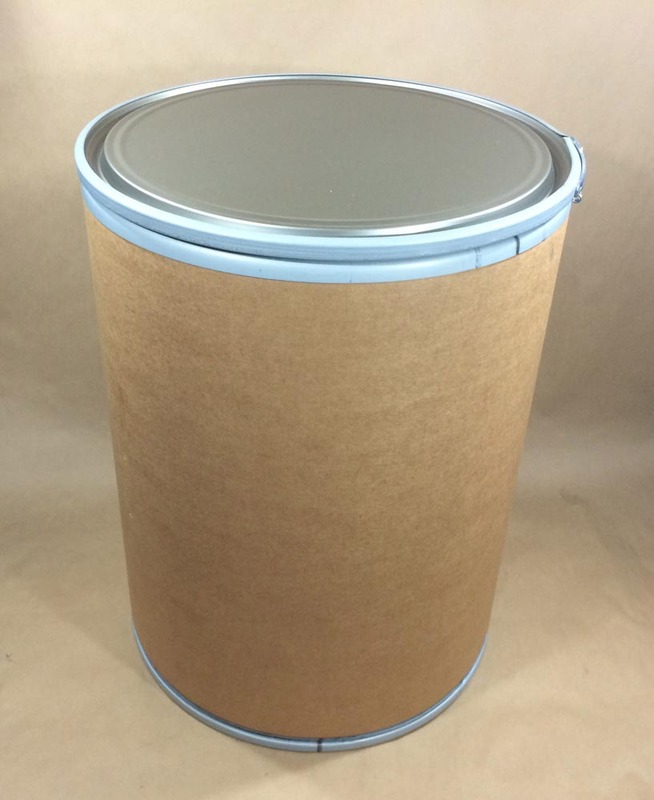 The only Rocon drum we stock is a 12 gallon drum. This is a square/rectangular drum. You can find more information on our drum in this article. Our Lok-Rim drums have a lever locking ring that secures the lid to the drum. Lids can be plastic, metal or fiber. More information on our Lok-Rim drums can be found on this page. Our 15 gallon Weatherpak drum has a plastic cover and a 5 mil PE lining. This drum is weather resistant for outdoor exposure. More information with pictures can be found in this article on 15 gallon containers. What Is The Smallest Fiber Drum You Stock?